1989 MERCEDES 560 SEC, 5.6 L 239 hp V 8, 4 speed automatic. 130602 miles. 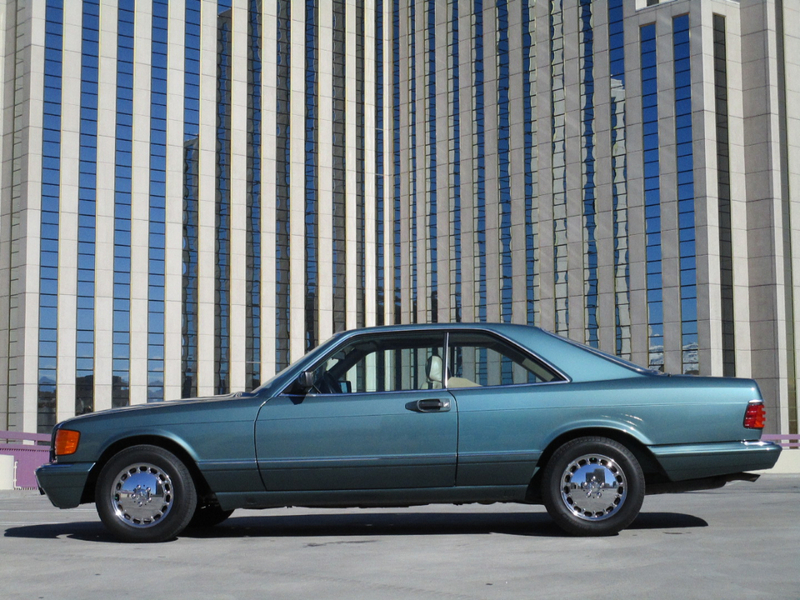 Beautiful teal exterior in good condition and tan leather interior in great condition. Power Windows, Power steering, power seats, heated seats. Power sunroof and power door locks. Air conditioning and stereo with cassette player. This car is totally stock and runs and drives well. Message: Thought you might be interested in this 1989 Mercedes-Benz 560 Series.